We can get to the bottom of your healthcare spending dilemma. Insurance carriers know how to buy low from medical providers and sell high to employers. They are vastly profitable entities with huge overhead. The privatized healthcare financing system supports and endorses the idea of profiting from you. In almost all employer situations, the incumbent broker who sold you the product is being paid unethical backdoor bonuses called contingent compensation arrangements to steer you to their carrier of choice. To make matters worse, in fully-insured arrangements, the agent is the agent of the carrier and the carrier shields its agent from critical information related to your losses. Having an insurance license is a license to sell you a product for a commission, not a degree in healthcare finance. Houston Benefit Services is different. We prefer to work as fee based consultants rather than agents of carriers. In multiple situations, HBS has discovered employers were being misled by their agents and the carriers related to actual spending. HBS will show you where your money actually goes. We keep our carrier relationships at a distance so as not to be influenced by their tactics. For examples of our work contact us. Houston Benefit Services strategically chooses to keep carrier relationships at a distance. We work with proven partners whom we trust to care for and service your business. We can get the products you want and need. We act in your best interest. Traditional carriers may be part of the benefits products you need. We get you the same products any other brokerage can deliver, at the same price. However, what sets us apart is our superior financial engineering, using the Federally mandated model of benefits delivery structured under ERISA. As an former Executive Vice President of a Professional Employment Organization (PEO), Mr. Davidson has extensive knowledge and understanding of different PEO models and pricing. Some employers need and will use a full suite of services that spans the range from payroll to advanced hiring and recruiting strategies. Other employers are looking for minimal structures at the lowest cost. HBS has multiple relationships with PEO's, some offer their own health plans, and others leave it up to the open market. You can be assured that you are working with a transparent and independent organization who will always act in your best interests. We want to make sure you are not overpaying. 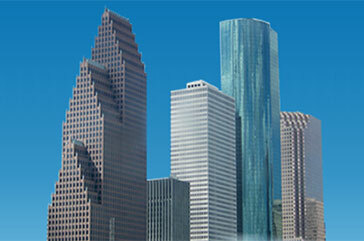 Houston Benefit Services is proud of its history in the benefits industry. We believe that you will be well served to meet with us prior to your next benefits decision. We are also confident you will recognize our difference from other agencies.